Metabolism! Fascinating topic! Do you know what the word actually means? Technically metabolism is a series of interconnected pathways that are responsible for energy production or synthesis of molecules using energy. Woaa! That’s a mouthful! Metabolism is a very vast and complicated field. Most biochemistry students have to take a course specifically on metabolism which only covers the basics. Hence, in the next series of posts I have decided to go over the most important aspects of metabolism which will help you understand how it works and its relation to nutrition. I’ve decided to begin by addressing an important question. What is energy within a biological system and why do we need to consume calories? 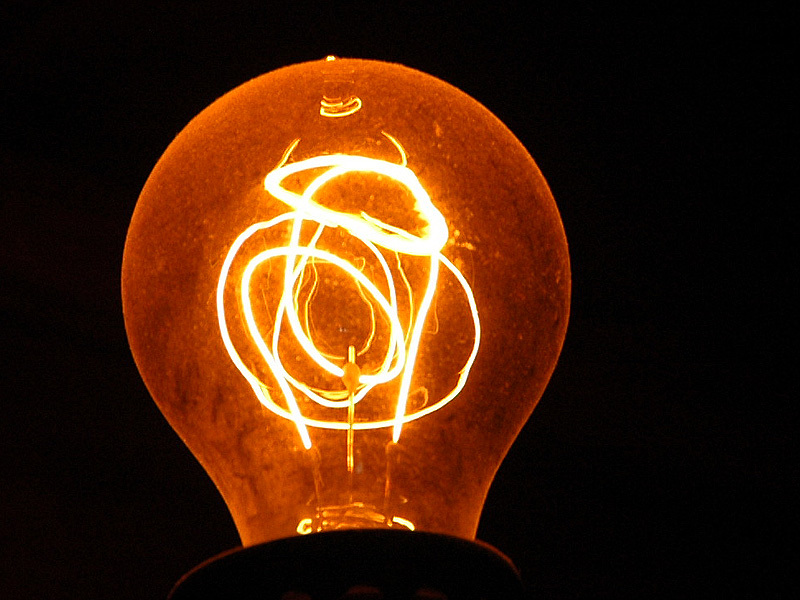 Energy is an interesting concept because it can neither be created nor destroyed. 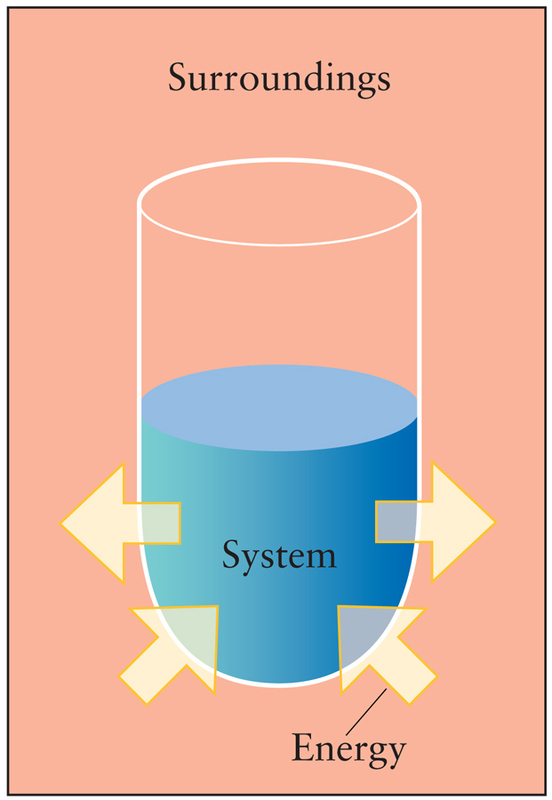 However, it can be transformed into a different form of energy or be transferred between a system and its surroundings. In a living organism energy is obtained by breaking down macronutrients and trapping their energy as adenosine triphosphate (ATP). The ATP can then be used to make vital bodily reactions occur. The thing is that there’re two types of reactions– those that require energy (endothermic) and those that give off energy (exothermic). 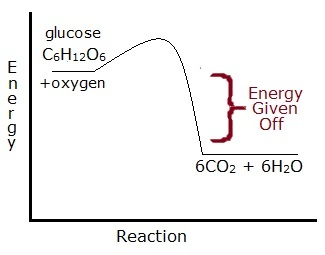 These reactions can be coupled in that the energy from an exothermic reaction will power the endothermic reaction. An exothermic reaction is when the reaction’s reactants are more energetic than the products. Thus, there is energy given off during the reaction which can then be stored or used to make another reaction happen. A typical exothermic reaction would be the metabolism of glucose. The glucose molecule is highly energetic and our body has learned to break it down through a series of reactions that turn glucose into carbon dioxide and water. Do note that there is an initial energy investment required but using enzymes this step can be skipped. An endothermic reaction is the complete opposite of an exothermic reaction. The initial reactants have little energy but after the reaction the products have a high level of energy. Therefore, energy must be absorbed or used up in order for the reaction to occur. 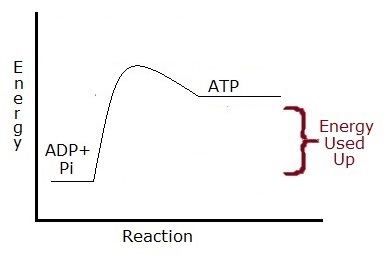 In the case of ATP, energy from glucose breakdown is used to attach a phosphate group to ADP to form the highly energetic ATP molecule. The energy trapped in the form of ATP can then be used to make other reactions occur. In order to move our muscles, ATP molecules are broken down into ADP and phosphate. This reaction involves an exothermic reaction of ATP being broken down into ADP and phosphate using an enzyme called actomyosin ATPase. The potential energy from ATP is then converted from into kinetic energy and thus displacement. So back to the question. If energy cannot be made or destroyed, why do we need to consume calories? Well when we use up ATP, the energy gets transformed into something we can no longer use or is lost to the surroundings in the form of heat. Technically, this energy is not “destroyed” but is no longer available to us and must be replenished. Now that we have taken a look at the three key macronutrients- carbohydrates, lipids, and proteins, it is important to know when our body utilizes these fuels. In subsequent posts I will go into more detail with regards to different metabolic pathways but for now I thought that giving you a brief overview would be useful. First off, how does our body store energy? There is a molecule called adenosine triphosphate (ATP) which is the energy currency within a cell. Literally, you can think of it as money. 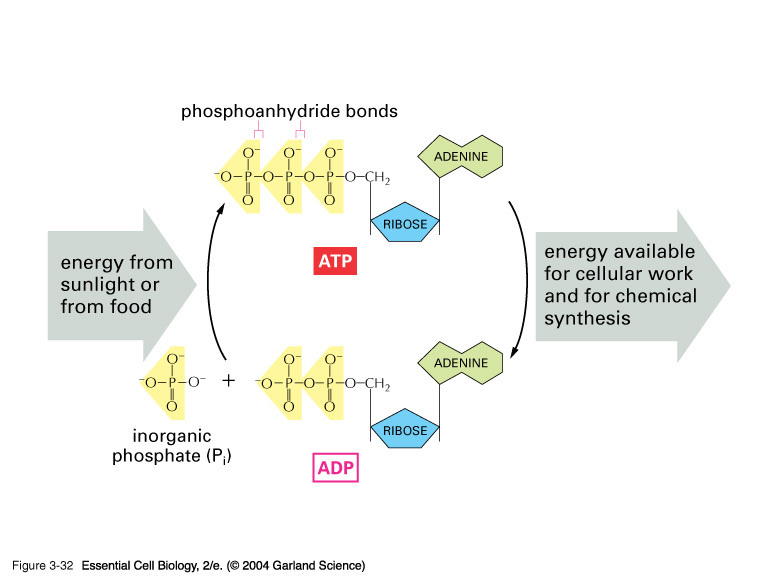 In the process of breaking dowm macronutrients into energy, a phosphate group gets attached to adenosine diphosphate (ADP) to convert it into ATP. Kind of like you depositing money in the bank from doing your job. Furthermore, when energy is required ATP will let go of one phosphate group to become ADP and cause a reaction to occur. This is similar to you giving money to someone for doing a service for you. Remember that all macronutrients can get converted into ATP, the trick is how fast this process will occur and oxygen availability. Additionally, fat metabolism requires adequate oxygen supply while carbohydrates could be burned without oxygen. When at rest or undergoing very light physical activity, our body’s energy demands are low. Therefore, there’s plenty of time to generate ATP from macronutrients. The most efficient way to do so would be by burning fat as it yields more ATP per gram and oxygen is readily available. At the same time, the body can conserve its glucose stores in case it needs a quick burst of energy for a “fight or flight” response. Once the body’s energy demand go up like during jogging or aerobic exercise, burning fat alone is simply not fast enough. There is still enough oxygen to continue fat metabolism but now glucose must also be metabolized to meet the increased ATP requirements. Hence, our bodies will begin to break down our body’s glycogen stores into glucose. Unfortunately, our glycogen stores are limited and can sustain aerobic activity for a limited amount of time. This effect can be observed with marathon runners as they “hit the wall” if they run of glycogen. 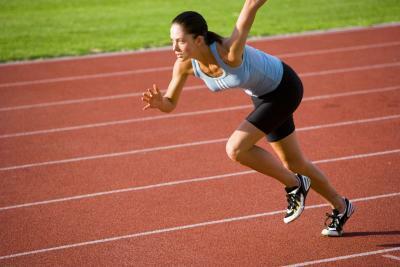 With heavy exercise or sprinting, our oxygen levels drop. Without oxygen, we cannot metabolize fat and must solely rely on burning glucose. 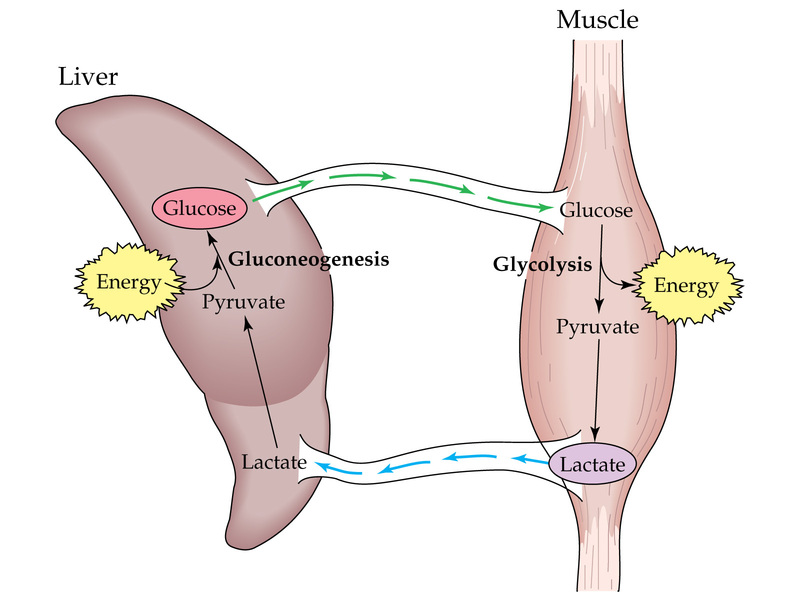 Even so, our bodies will burn this glucose in an inefficient anaerobic pathways that results in lactose production. As a result we feel cramps in our muscles and can only sustain this intense exercise for a short duration. It is important to note that the body doesn’t really use protein as fuel. Doing so is inefficient, slow and yields toxic by-products like urea that must be removed from the body. The only time our bodies will burn protein is during times of extreme starvation. Do these rules apply to all organs? Well technically what I’ve just described is particular to muscles. Our nervous system can only burn glucose or ketone bodies (by product of fat produced during starvation). Alternatively, our adipose tissue will preferentially burn fat. All in all, muscles, brain and adipose tissue will make up most of our required daily calories. So what’s the deal with the macronutrient ratio? Although the research is still controversial, I would assume that it would depend on your activity level. If you lead a sedentary lifestyle, then stay clear of carbs as they will get stored as fat. However, if you lead a healthy active lifestyle then don’t shy away from carbs 😉 Just make sure they’re the good unrefined kind!